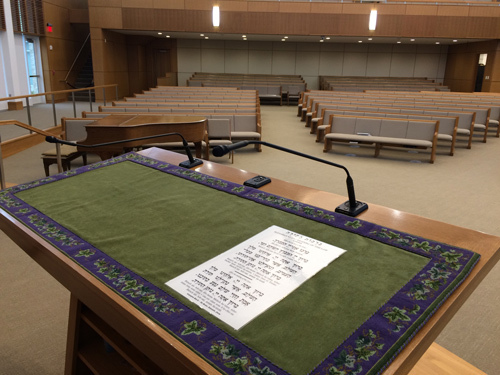 Milford, NH – When Temple Israel, a Reform Jewish Congregation in Omaha, Nebraska, was looking to upgrade their sound system, they turned to Lincoln, NE based Electronic Contracting Company to upgrade their system. Acoustic consultant David Walters of Diversified Design Group of Lincoln, NE was utilized to design the sound and audio/visual systems. 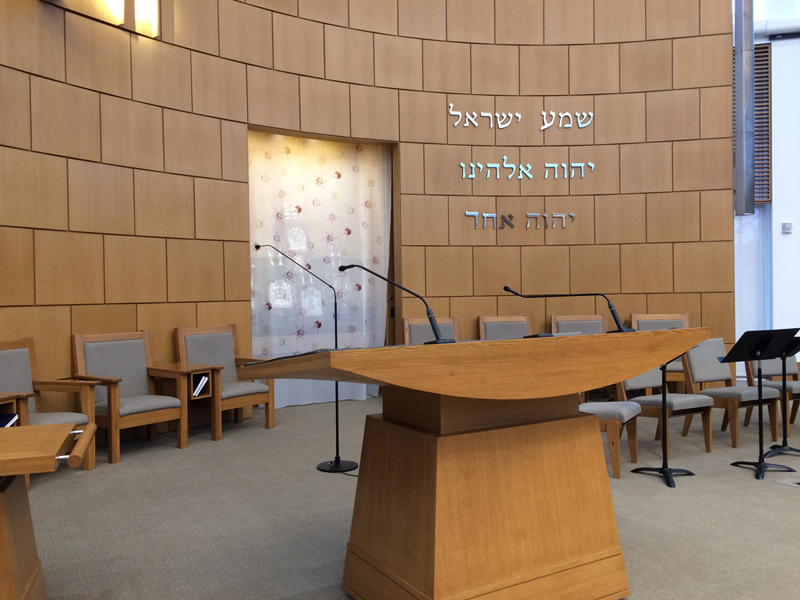 Electronic Contracting Company interfaced with David as the project needs developed, which led to additional Earthworks microphones being designed and specified for Reading and Shabaat tables on the Bimah. As part of this sound system upgrade, six FW730 FlexWands and two customized podium microphones from Earthworks were utilized.